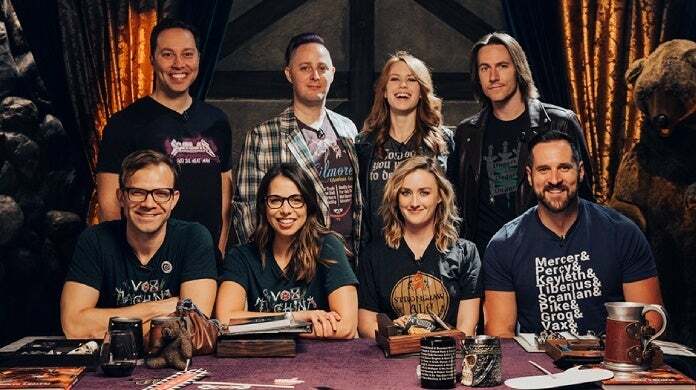 Critical Role has delighted a legion of fans with the power of Dungeons & Dragons -- and now you can help make their next project a reality. 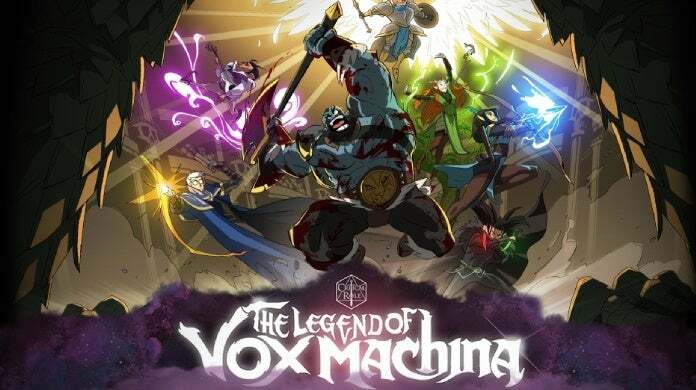 On Monday, a Kickstarter was launched for The Legend of Vox Machina, an animated special that will be co-written by the Critical Role team and Star Wars: Forces of Destiny's Jennifer Muro. Season one of Critical Role followed a group of heroes known as Vox Machina — Pike Trickfoot (gnome cleric, Ashley Johnson), Keyleth (half-elf druid, Marisha Ray), Percival “Percy” Fredrickstein Von Musel Klossowski de Rolo III (human gunslinger, Taliesin Jaffe), Grog Strongjaw (goliath barbarian, Travis Willingham), Scanlan Shorthalt (gnome bard, Sam Riegel), Vex’ahlia (half-elf ranger, Laura Bailey), and Vax’ildan (half-elf rogue, Liam O’Brien) — as they battled the forces of evil and learned to work as a team. Their epic tale concluded in November, 2017 after 115 episodes and 373 hours of gameplay. The special, which is aiming to be released in the fall of 2020, is set to be a brand new in-canon prequel, which would follow the Vox Machina team at a Level 7, before the events of the Critical Role webseries. Bringing the special to life will be the animation studio Titmouse, the Emmy-winning production company behind hits such as Big Mouth, The Venture Bros., Metalocalypse, Niko and the Sword of Light, and Star Wars: Galaxy of Adventures. "Travis & Sam went on dozens of Hollywood pitch meetings, and found some interest — but we ultimately decided to create our first animated special on our own." the group writes on the Kickstarter page. "By doing so, we can continue to stay true to our beloved characters and tell the stories you want to see. With an ever-burning desire to bring a Vox Machina animation to the masses, we decided to give the power back to our amazing community, roll up our sleeves, and make this series with YOU instead." If you want to help bring The Legend of Vox Machina to life, the Kickstarter offers a slew of prizes and rewards for people who donate. $20 or more will give you access to four different versions of the Critical Role theme song, while $50 or more will add in a limited edition production art print and sticker set. Prizes for higher donation tiers include dice sets, plushies, messenger bags, associate producer credit, and even lunch with the Critical Role cast. The Legend of Vox Machina Kickstarter campaign will run through Thursday, April 18th at 11:59pm Pacific. If you'd like to donate to the campaign, or find out more information, click here.